A growing feature list means we'll have to wait awhile longer for Shadowrun Returns. Bigger is better, right? But bigger also takes more work to pile in a corner and pound into shape. That's the situation at Harebrained Schemes, which confirmed today that Shadowrun Returns, which it successfully Kickstarted in April, is going to take longer to deliver than originally expected. "As we announced a few months ago, we've backed off our original delivery date of January 2013. It might've worked for the scope of the game we originally envisioned but as our ambitions (read that 'features list') grew, so did the time we needed to deliver!" the studio said in the latest Kickstarter update. "Plus, we made a big move from our original top down camera to an isometric point of view and that took serious R&D time. Right now, according to our estimates, we're looking at May or June." "We've spent the majority of our time getting our game engine, art pipeline and base gameplay up and running and we've covered a lot of ground to get a lot of systems in place," the update says. "Our engineering team has been crunching off and on for months to maximize the amount of time our designers will have to create our story." I don't recall Harebrained mentioning anything about this prior to today and a quick Googling turned up nothing, but I can't say I'm too surprised by the news. 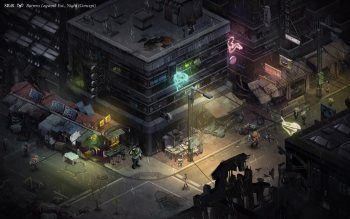 Shadowrun Returns more than quadrupled its goal - the team asked for $400,000 and ended up with more than $1.8 million - so the scope of the project was bound to expand. Greater ambitions mean more development time, and that means you're going to have to wait a little while longer - but that's a fair trade for a bigger, better game, is it not?